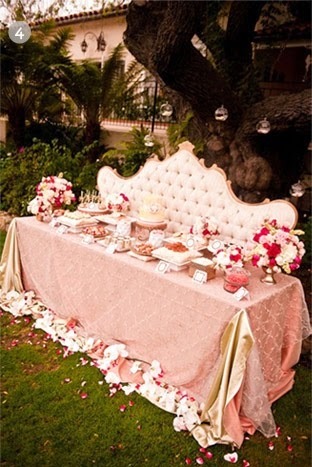 Lush Fab Glam Inspired Lifestyle For The Modern Woman: Fabulous Summer Party Decor Ideas. Fabulous Summer Party Decor Ideas. The summer months are the perfect time for entertaining and if you love hosting dinner parties, drinks and games nights or you're planning to throw a fun bash to celebrate a summer birthday, bridal shower, baby shower etc. 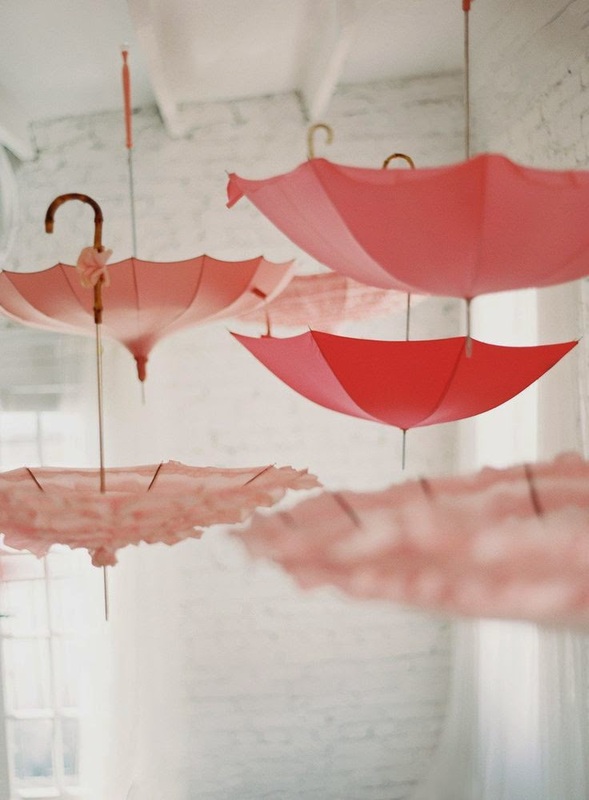 Wow your guests with one of these fabulous indoor and outdoor party decor ideas! 1. Paper Flowers & Paper Balls: Give your party a unique, modern-twist by re-purposing the traditional use of paper flowers and paper balls. 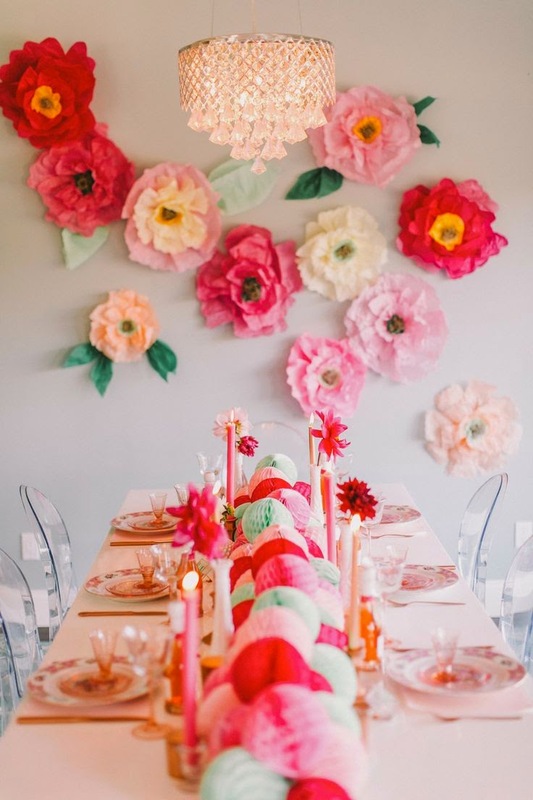 Attach your giant paper flowers to your dining room wall and decorate your dinner table with assorted color paper balls instead of a table runner or flower bouquet. 2. 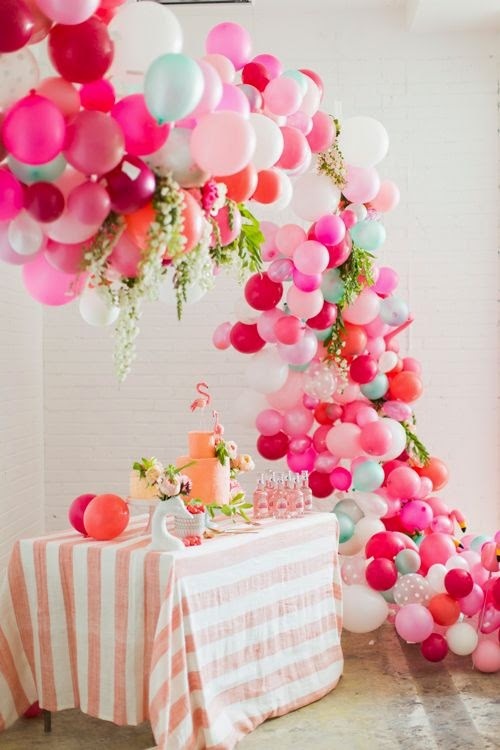 Balloon Garner: Create a beautiful garner from assorted colors and varying size balloons, strewn over and around your party dessert table. 3. Umbrella Chandeliers: Hang n eclectic mix of umbrella's in multiple shades of the same color at varying heights from the ceiling for an eye catching feature. Outdoor Party Decor Ideas: Take advantage of the warm summer weather and enjoy your backyard by taking your party outdoors. 4. An Elegant Backdrop: Add an elegant touch to your party decor by ditching the typical table covers for a combination of beautiful silk or linen, layered with a sheer fabric for your feature/dessert table. Add even more glamour with an elegant headboard instead of a feature wall as your backdrop for an unexpected but romantic twist. 5. Candle Holder Lanterns As Decor: Entertain your guests with an elegant outdoor soiree by decorating your dessert table with candle-holder lanterns embellished with flowers. 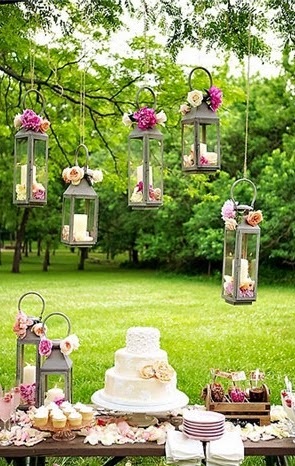 Hang a few lanterns at varying lengths over your dessert table for maximum effect. 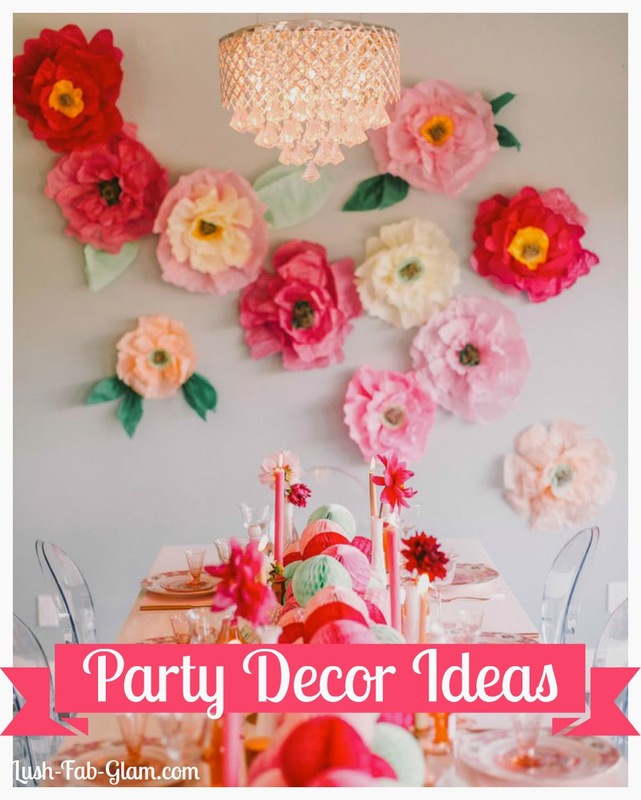 Which party decor ideas will you try? Share with us by leaving a comment below.